A clutch of large-scale urban design studies of the 1960s (Tel Aviv, Pampus, Eindhoven) gave rise to the concept of the megastructural block. These elongated, often jointed buildings of layered composition and elaborate section are a means to delimit urban space. 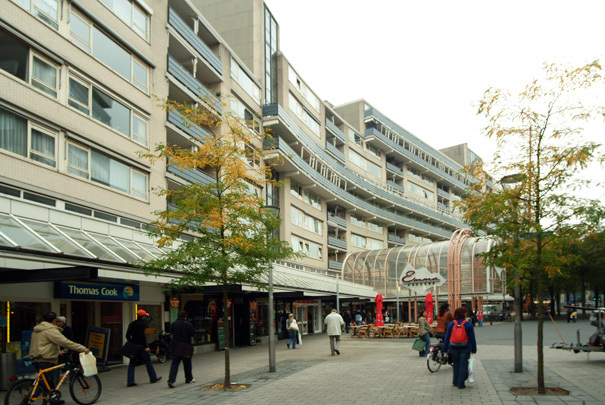 A similar plan has been partly realized in Tilburg. The complex section lends these buildings a sculptural quality, comparable with that of Erskine's Byker Wall in Newcastle.